Roger Meddows Taylor was born on Tuesday, July 26, 1949 at West Norfolk and King's Lynn Hospital in King's Lynn, Norfolk. Rogers parents Winifred and Michael Taylor gave Roger the name 'Meddows' which was a family name which had been passed through Taylor's family, and it was subsequently passed on to Roger as a middle name. Rogers family moved to Truro in Cornwall when Rober was still in primary school. When Roger was about eight years old, he saw his cousin play simple tunes on his guitar and decided that he wanted a guitar too. At first he made do with a ukulele (similar to Brian), on which he taught himself the basic chords. At this stage he considered forming a band. The band were called the Bubblingover Boys and played skiffle music (a type of folk music with a jazz and blues influence, usually using homemade or improvised instruments such as the washboard, tea-chest bass, kazoo, cigar-box fiddle, or a comb and paper, and so forth). The Bubblingover Boys played just once more, at a Bosvigo School school dance. It was short-lived mainly because none of them were very good. He was awarded a choral scholarship, which Rogert involved joining the Cathedral choir. He didn't like this very much as he never considered himself the choirboy type - but the singing experience would come in useful later. In 1960, Roger won a place at Truro Public School, one of the best in the area. Although it was a boarding school but as Roger lived nearby he went as a day boy. The joys of playing guitar were fading for Roger, and he found himself more and more drawn to drums and percussion. He started off by bashing upturned saucepans with his mother's knitting needles, using the lids and anything else he could find as cymbals and drums. Roger found some drums, got presents of others and bought a Zildjian crash cymbal for eight shillings and also tom-tom to form a mis-matched drum kit by 1962. During 1963 he and some friends formed a band called 'The Cousin Jacks'. 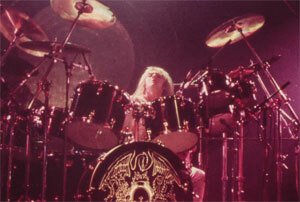 Roger was initially on rhythm guitar but later took over on drums. However, the band split after a year. In 1965 Roger joined a local band called 'Johnny Quale and the Reactions'. They entered 'The Rock and Rhythm Championship', at Truro City Hall. This event was big and bands from all over Cornwall and Devon were competing. Rogers band came fourth but started them off on the Cornish music circuit. In September 65, Johnny, the lead singer of the band, left the band just before they were booked to play a gig. Roger stepped in as he was the only one left who could sing. They dropped the first part of the band name and became 'Reaction'. Upon entering the '1966 Rock and Rhythm Championships', this time with Roger on lead vocals... they won ! However, 'Reaction' eventually split in mid 1968 and Roger went back to London to attend university. He regularly read the music columns and one day saw an advert looking for a ' Ginger Baker / Mitch Mitchell type drummer ' for a new band. Roger contacted the name on the card the following day and it was a guitarist called Brian May. (You can read the main bio to see what happed when Brian and Roger joined forces...) As regards Roger after joining Queen, he was the first member of Queen to start a solo career, with the release of 'Fun In Space' in 1981. 3 years later he released 'Strange Frontier'. 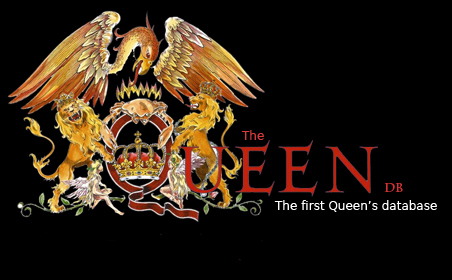 While still in Queen he formed a new band called 'The Cross' in 1988. The Cross included Spike Edney (Queens Keyboard player from live concerts) and they released their debut album called 'Shove It', in the same year. The Cross released 2 more albums before disbanding. Another single album from Roger was 'Happiness' released in 1994 and the most recent album, 'Electric Fire' released in 1998. Roger has 5 children, Felix Luther, Rory Eleanor, Rufus Tiger, Tiger Lily, Lola May and lives with partner Debbie Leng. Roger continues to promote Queen along with Brian May and recently started touring again with new singing partner Paul Rodgers.